New York City (Monday, February 9, 2009) - On February 28th at Avery Fisher Hall, Lincoln Center, Dino Anagnost and The Little Orchestra Society will present the year's most exciting children's concert in tribute to Abraham Lincoln and the music he inspired. "Honest Abe: Four Scores and More," part of the Happy Concerts for Young People series, will feature the legendary actor James Earl Jones; Mark O'Connor, one of America's greatest violinists; media designer and concert producer Elliott Forrest, and talented young musicians from Opus 118 Harlem School of Music in an afternoon of engaging music, living history, visual excitement and all-around fun for children ages 6 to 12. "Music has the unique ability to frame extraordinary times in our nation's history," said Dino Anagnost, Music Director of The Little Orchestra Society. "Having just elected our nation's first African-American president during the bicentennial year of Abraham Lincoln, one of our nation's - and President Obama's - greatest inspirations, these are indeed extraordinary times. We are honored and excited to have an A-list roster of special guest musicians and artists to present an extraordinary concert that celebrates the great achievements of Lincoln and the music he inspired. We believe that "Honest Abe" will, in turn, inspire today's young people - who are a part of what people are calling the "Obama Generation" - to participate in the excitement of American history, politics, music and culture." "Honest Abe: Four Scores and More," endorsed by the Abraham Lincoln Bicentennial Commission, will explore President Lincoln's extraordinary impact on both music and history, having inspired more works of music than any other American president. The concert will feature works by Aaron Copland and Morton Gould, as well as several original works written and performed by Mark O'Connor. Actor James Earl Jones, who just last month received the prestigious Screen Actors Guild Lifetime Achievement Award, will narrate, bringing the amazing story of Lincoln to life. "The Little Orchestra Society has built its mission around engaging young people with classical music and has always found exciting ways to make music, art, and history come alive in the concert hall," said Mr. Jones. "I am thrilled to be a part of the Orchestra's celebration of one of America's most influential figures, Abraham Lincoln, and relish the opportunity to help young people learn about America's journey as a nation." Mark O'Connor is one of America's most celebrated violinists and composers and well known for his work with young music students. He will perform original works and lead the young violinists from Opus 118 Harlem School of Music in the rousing "Fiddler's Dream." "Abraham Lincoln was at the center of one of our nation's most defining moments and some of our country's most gifted composers and musicians took note, incorporating the drama of the Civil War and the fight for our union into truly great pieces of music," said Mr. O'Connor. "It is a privilege to be part of this artistic tribute to Abraham Lincoln that celebrates what he means to our culture today." Elliott Forrest is a producer, director, designer and broadcaster. For "Honest Abe," Mr. Forrest has created and selected images, paintings, animations and video to be projected on a giant screen above the orchestra at Avery Fisher Hall culminating in a moving theatrical experience. "President Lincoln is one of our country's most memorable figures, lived during the early use of photography and remains an unending inspiration for artists," said Mr. Forrest. "I think that young people will be excited by the grand scale of this production -- the glorious music, narration, lighting and big-screen imagery." 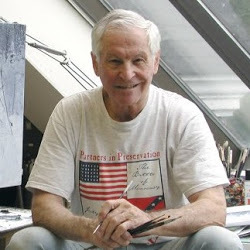 Sources of Mr. Forrest's material include The Library of Congress, the Gilder Lehrman Institute of American History, the Wendall Harrington Collection and paintings by Mort Künstler, the foremost living painter of the Civil War. This is the first of two concerts from The Little Orchestra Society to celebrate the Lincoln Bicentennial. On Monday evening, March 23, 2009 at the newly-renovated Alice Tully Hall, Lincoln Center, James Earl Jones, Mark O'Connor and Elliott Forrest rejoin Dino Anagnost and the Orchestra to present "A Lincoln Portrait: Four Scores and More," part of the Orchestra's Concerts for Adults series.